Freezing weather and unusually heavy snow have been pushing wintering birds into south-west England for the past month. In the week before Christmas the snow reached our normally mild part of the south coast, and the birds, unable to move any further south, were forced to change their feeding behaviour. 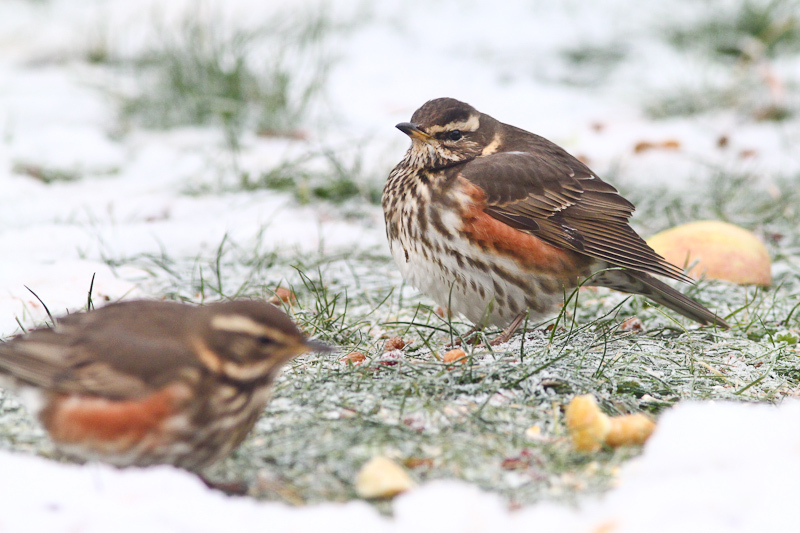 On the morning of December 22nd a lone Redwing dropped into our garden and began pecking at the berries on our Pyracantha bush. Within an hour over 30 of these beautiful thrushes were busy stripping the bush. As the berry supplies dwindled over the next few days they turned to the apples and other fruit that we put out on the lawn for them. Some camouflage netting slung across our back door gave us the chance to watch and photograph them just a few feet away. 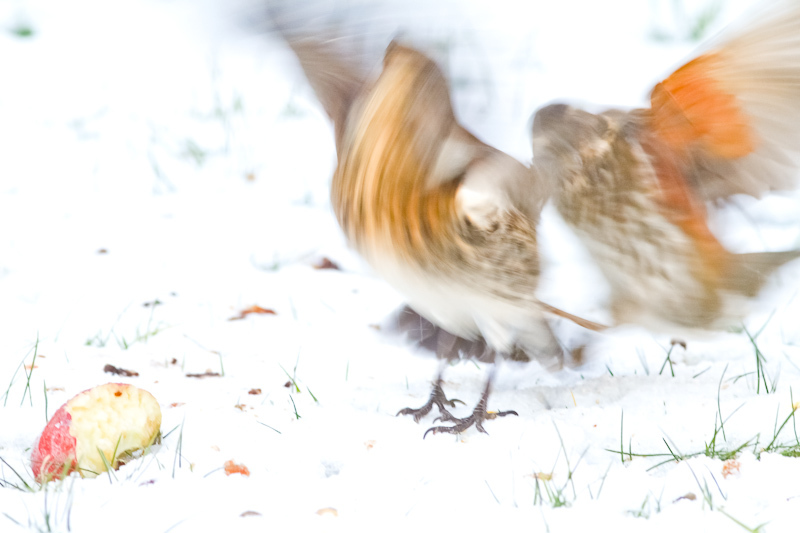 Occasionally Meadow Pipits, Blackbirds, Song Thrushes, Mistle Thrushes and Fieldfares would try and join in the feeding – the Redwings met these with varying degrees of tolerance! The freeze finally broke on the night of December 27th, and by the morning the snow was almost gone, and so were the Redwings aside from a few brief visits. Hopefully the food we gave them helped increase their survival chances during the cold spell, and we had the privilege of spending a few days observing these Scandinavian visitors – a great Christmas present!